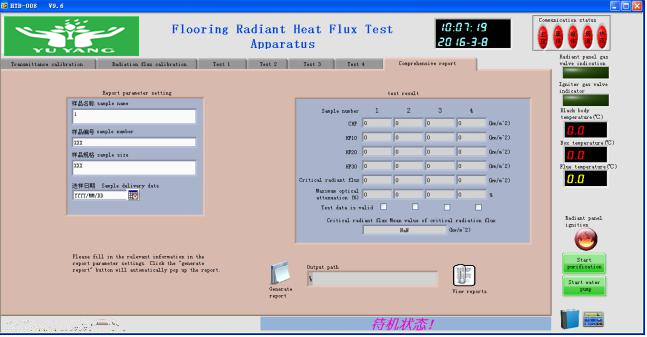 FLOORING RADIANT PANEL TEST (CRITICAL RADIANT FLUX), ASTM E 648, NFPA 253, FED. STD. NO. 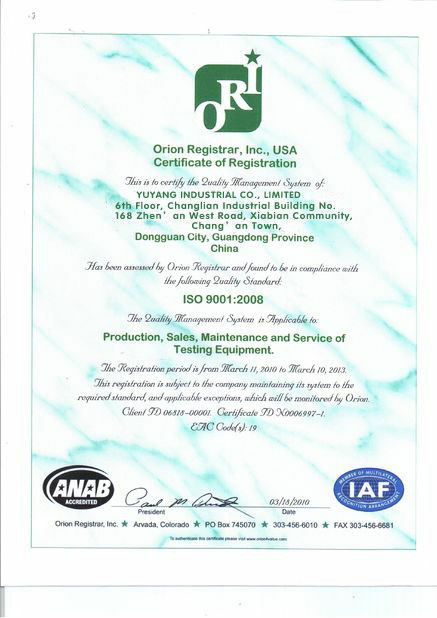 372, NBSIR 75-950: The Floor Radiant Panel apparatus involves a horizontally mounted floor covering test sample which receives radiant energy from a gas-air fueled radiant panel mounted above one end of the sample and inclined at an angle of 30o. 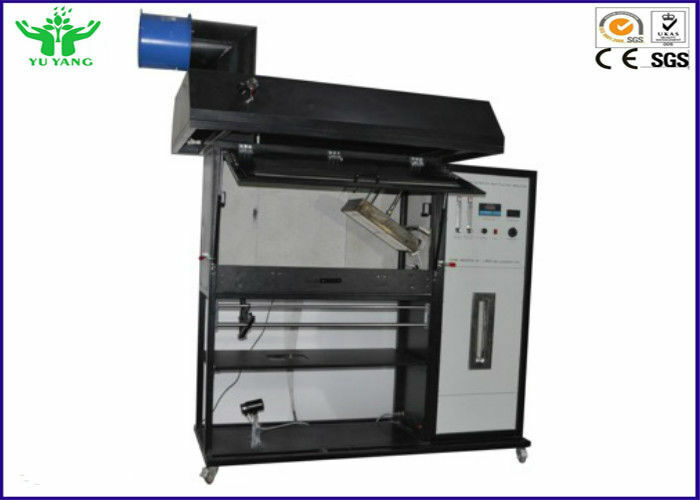 The radiant panel generates a radiant flux profile along the length of the sample ranging from a maximum of 1.1 W/cm2 immediately under the panel to approximately 0.1 W/cm2 at the end of the test sample. 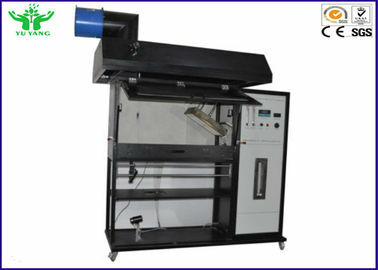 A gas fired pilot burner is used to initiate the ignition in the sample. 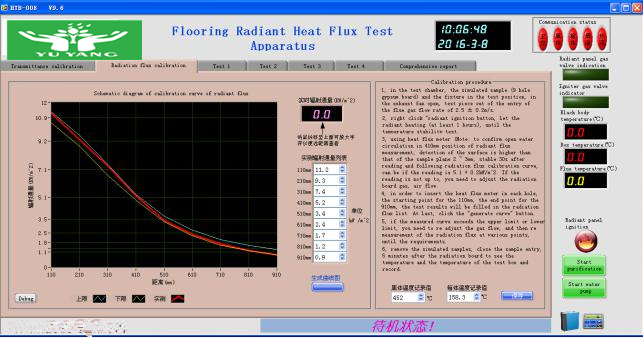 The distance the flooring system burns to extinguishment is converted to watts per square centimeter (W/cm2) and is reported as critical radiant flux (CRF). 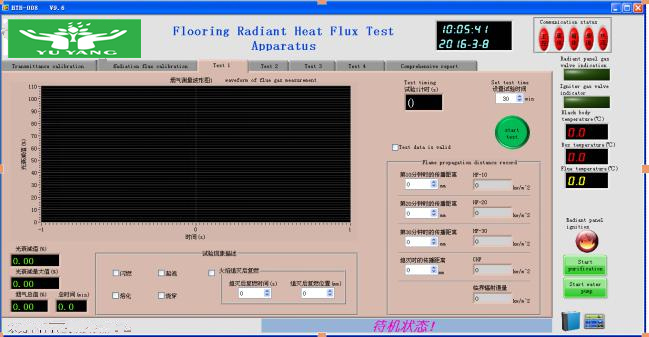 This is the minimum radiant energy a fire needs to sustain flame propagation in the flooring system. 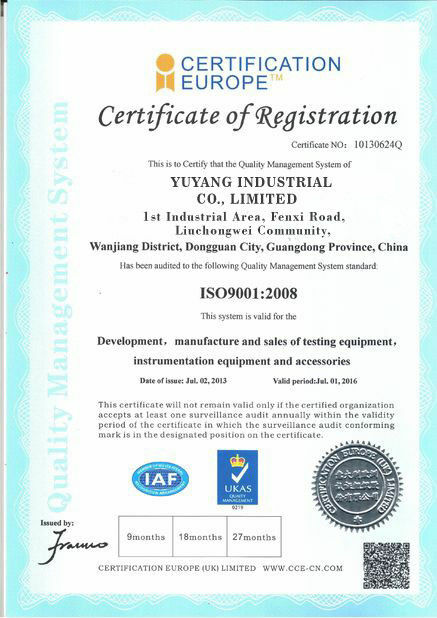 In this test, a higher number indicates a more flame-resistant system; i.e., 0.45 W/cm2 is better than 0.22 W/ cm2.